What is your thoughts on a 3D animation show or movie? How would you design the characters? Would there be any particular fan art you would include? 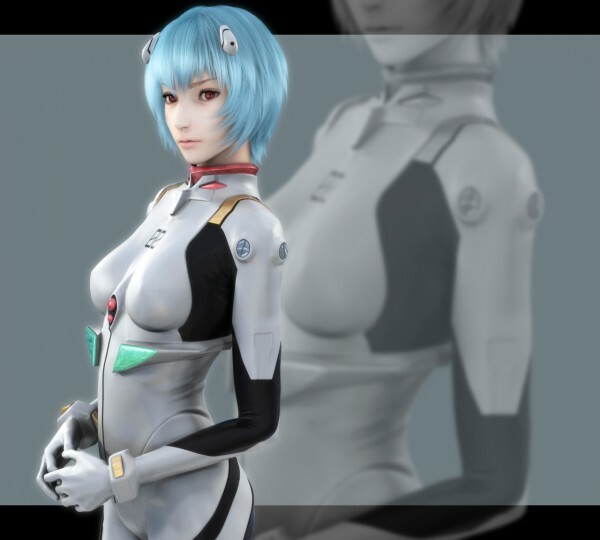 Here is some 3D images I found of Rei and Asuka. How would you change these images? I enjoyed Petit Evangelion@School. That was 3D animation. But if you mean a serious show entirely in 3D... dunno. Advent Children-styled Eva doesn't appeal to me as much as I should think it does. But then, much of that movie is full of desaturated grey tones and the like, while Eva is known for being a very colorful show with vibrant colors. Maybe of the color pallet stayed the same, it could get behind a 3-D Eva. But I have a feeling that the cinematography would change entirely in a CGI setting. Anno's framing is very careful and striking, mostly because the animation is so limited. The limited animation tends to heightened the careful cinematography of both the shows and the movies. The more nuanced animation that CGI tend to demand so it doesn't look so cheap might take away from the dynamic cinematography. It would be weird. If Anno did it, I would be interested. If someone else did it, I wouldn't be too sure about it.